Looking at the Stars | Just Shooting Memories! The Tellus Museum has to be one of the most customer oriented museums around. It seems like at least once a month, there are special events being held for the museum goers. 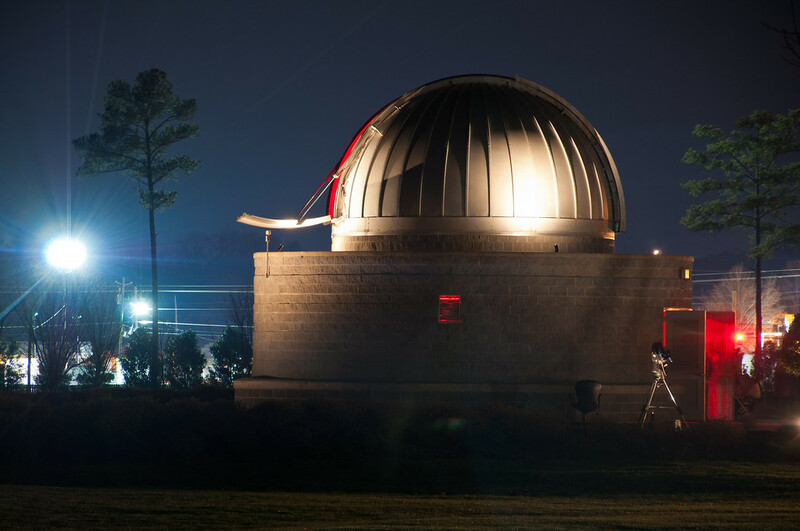 Most of those events take place on Friday evenings and include opening the observatory to viewing the stars. Not only do you get to see through the fabulous telescope in the observatory, there are usually smaller telescopes set up around the outside of the building. I must say, it is well worth the wait in line to get a view of space from here.